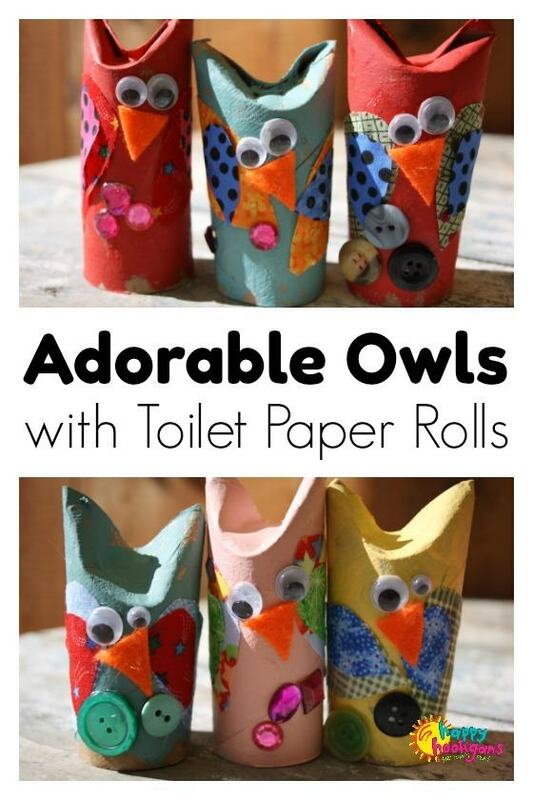 An easy, adorable toilet roll owl craft for toddlers and preschoolers to make with cardboard rolls and fabric scraps! 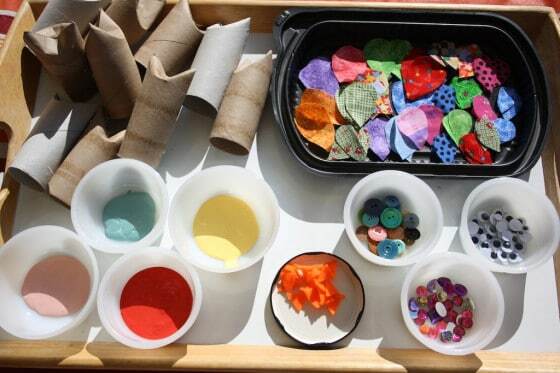 Oh, we do love our owl crafts here in my home daycare. Because owls are typically thought of as being a fall craft, we often make them around Halloween, but in all honesty, these toilet paper roll owls are so cute, you’ll want to make them all year round. 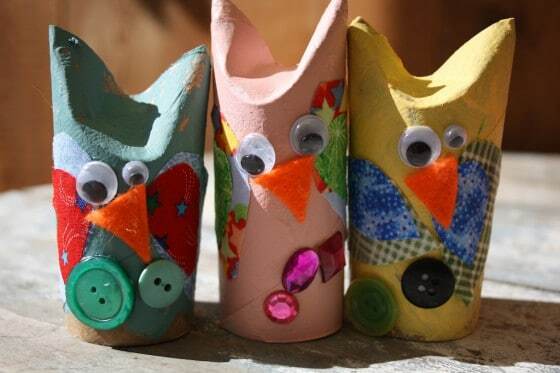 Toddlers and preschoolers can make these toilet roll owls with some help, and they’ll love exploring the textures and patterns of the fabric scraps that you use. The hooligans who made these owls today were between the ages of 2 and 4. 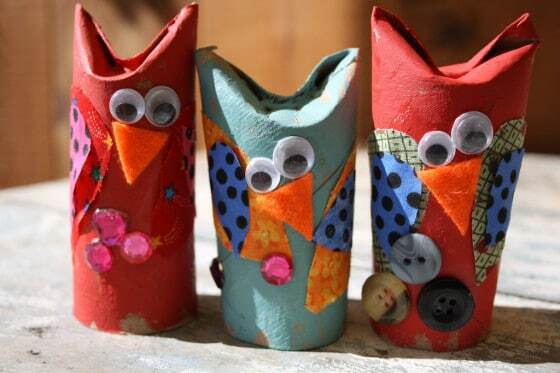 School-aged kids will love making these owls too because of the creative steps involved. 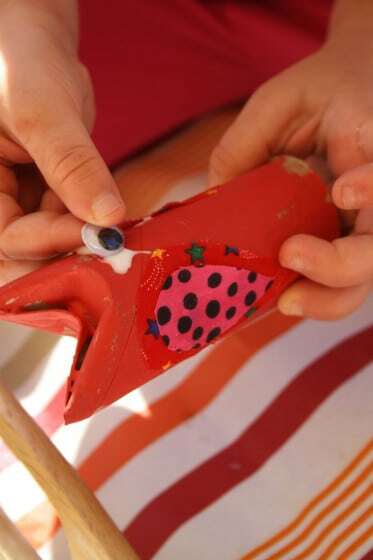 They can paint their owls in whatever colours they choose, and select co-ordinating fabric and jewels. 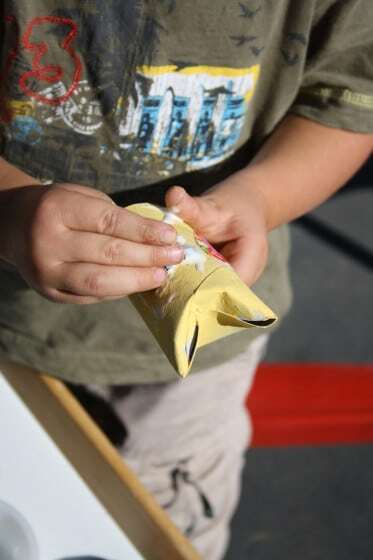 Start by squeezing the end of a toilet paper tube to form the ears of the owl. You can tape it in place, but I made ours up ahead of time, and used my glue-gun. Then have your hooligans paint the tubes. 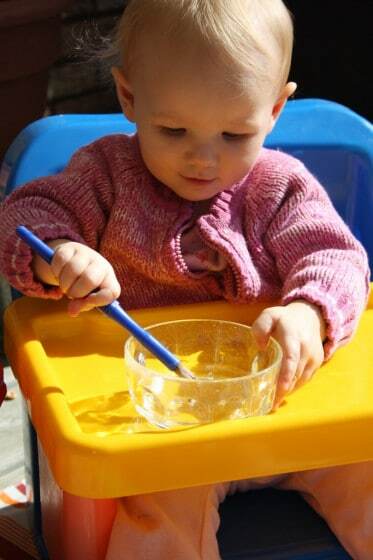 We use acrylic craft paints for most of our projects here in my daycare. I love how vibrant they are, and the huge range of colours they come in. I get ours at the dollar store. 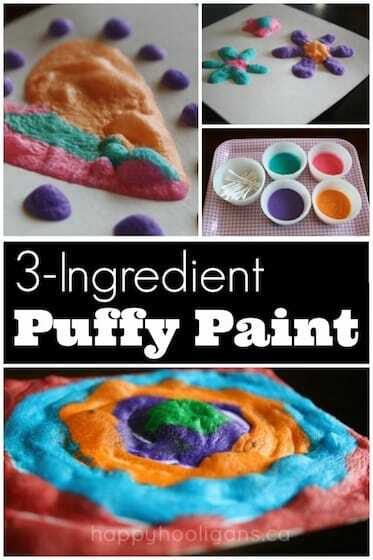 Feel free to use tempera paint or whatever washable paint your kids usually use for crafting. The babies in our daycare they often want to get into whatever the older kids are doing, and it can be frustrating for everyone to try and keep the wee ones away from the craft table. Here’s what I do to keep the baby entertained while the big kids are crafting: I sit the little one in a booster on the ground, and I provide an age appropriate “craft” for the baby to do. Today our baby is painting with water. You can’t see the piece of construction paper, as it slipped off the tray as I was preparing to take the picture. 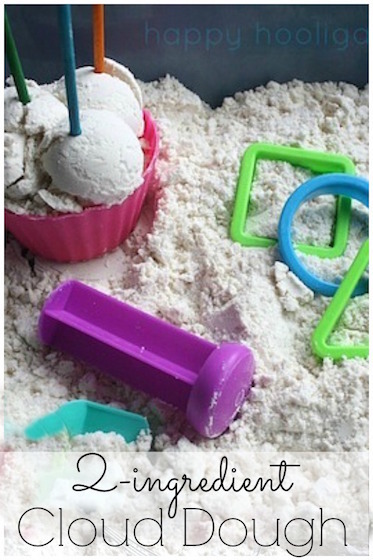 This is a wonderful way for baby to feel included and like she’s crafting right along with the older children. 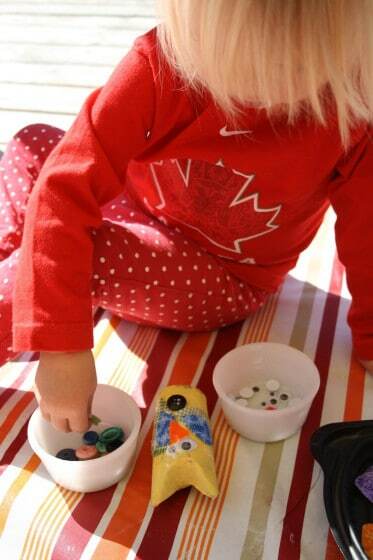 Now it’s time to turn that toilet paper roll into an owl with fabric scraps, sequins, buttons and beads. 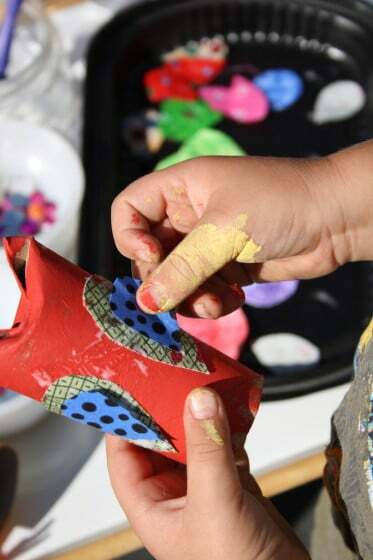 The hooligans loved pouring through the colourful fabric scraps to choose the wings for their owls, and their fine motor skills got a work out gluing sequins and buttons in place. A couple of googly eyes, and we’re all finished. Aren’t these owls just too cute? Yay!!! 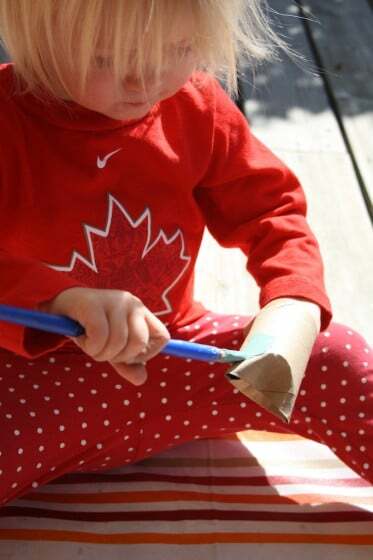 More toilet paper tube crafts! I KNEW I’d been saving them for a reason. Thanks again for letting me know about that. It was an easy fix. There are probably a few others scattered thru the blog that aren’t linking up as well, as I know I made the same mistake with a few links. If you ever run across them, please let me know! I love this project! 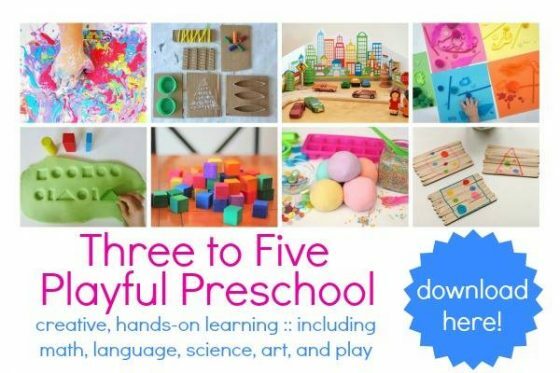 I’m not sure if my 2.5 year old has enough patience yet, but maybe we’ll give it a try this weekend. Thanks for sharing. You might be surprised. 3 of the Hooligans that took part today, have all just turned two, and they all loved it. Oh Jackie, these are gorgeous, I’m going to share this with my primary colleagues as I think it would be right up their street – love them – why are you so talented!!??? 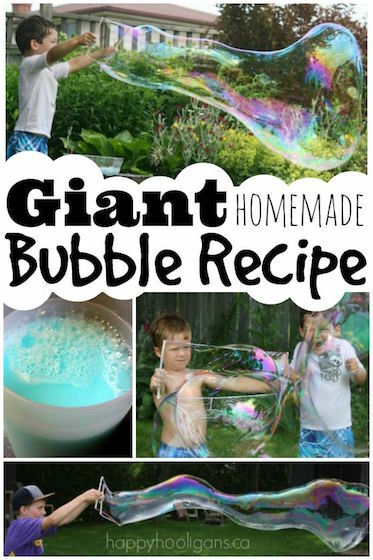 Thanks for much for sharing this project as part of our link up today! It is adorable! I have a lot of buttons and toilet paper rolls, so this would be a fun way to use them. You’re so welcome! Thanks for hosting the link-up!! I LOVE owls, and I can’t wait to do this with J when he gets a bit older. Thanks for the idea. These are soooo sweet. I’ve pinned them. We’ve made ours now too! Those owls have so much personality. They do, don’t they, Sandi! They’re just so darn cute! We begin our Owl Unit Study tomorrow, but I think this will be a perfect way to start TODAY 😀 !!! 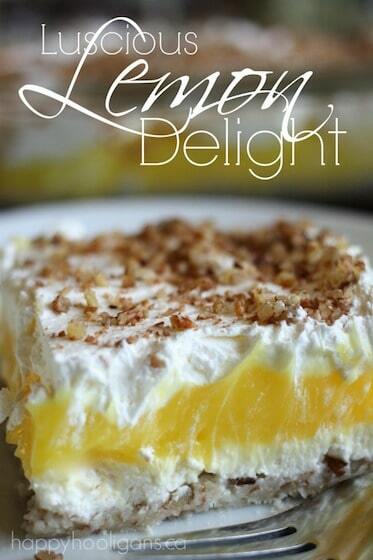 Plus, it’s a great activity for a cold and windy SUNDAY afternoon! Thank You I just love all the resources you share so kindly here! 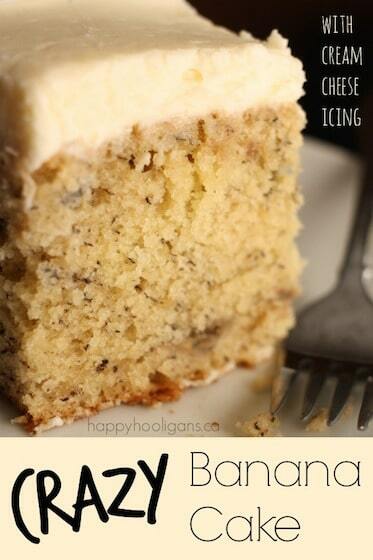 […] Thanks to Nancy for finding this idea on the happy hooligans website.